Whether by boat, kayak, helicopter, horse back, mountain bike or on foot, touring the Comox Valley is an outdoor enthusiasts dream. Easily accessed wilderness areas perfect for outdoor adventure are here in the Comox Valley's back yard. 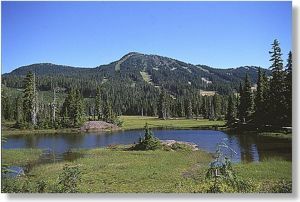 Alpine meadows ideal for hiking, mountain peaks protected coastal waters and forests provide a variety of settings for wilderness experiences and tours. Deer are frequently seen along the roadside and in gardens and golf courses in Comox. Black bear are often seen spring through fall mostly in areas uninhabited by humans, particularly in Strathcona Provincial Park, which is also home to a small population of the endangered Vancouver Island Marmot. The Comox Valley also includes habitat for cougars, Roosevelt Elk and wolves. Offshore ocean waters are home to healthy populations of seals and sea lions. 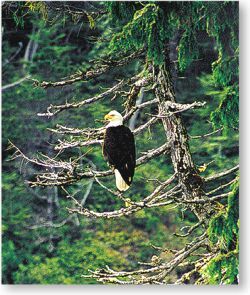 Some of the many bird species that can be spotted here include 10 species of gulls and terns, 16 types of diving ducks, nine dabbling ducks and 13 species of raptors including the Bald Eagle, a common sight in the Comox Valley.